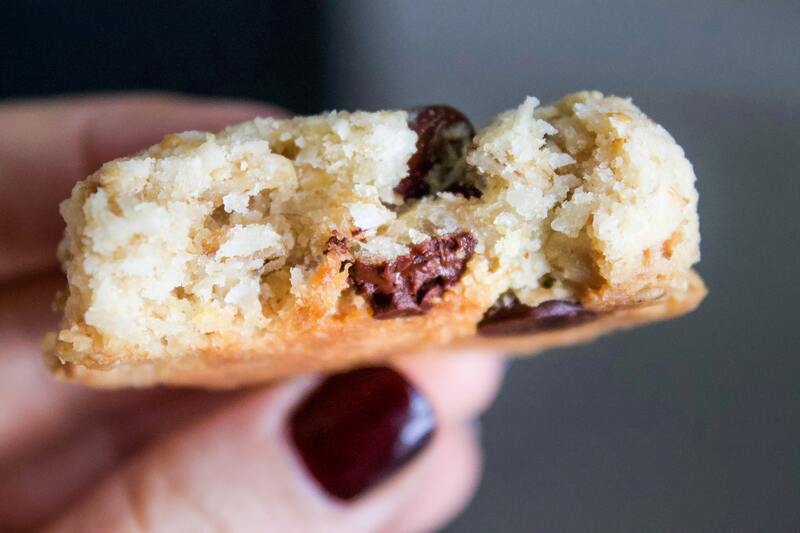 These vegan cookies are wholesome, naturally sweetened and most of all- DELICIOUS. 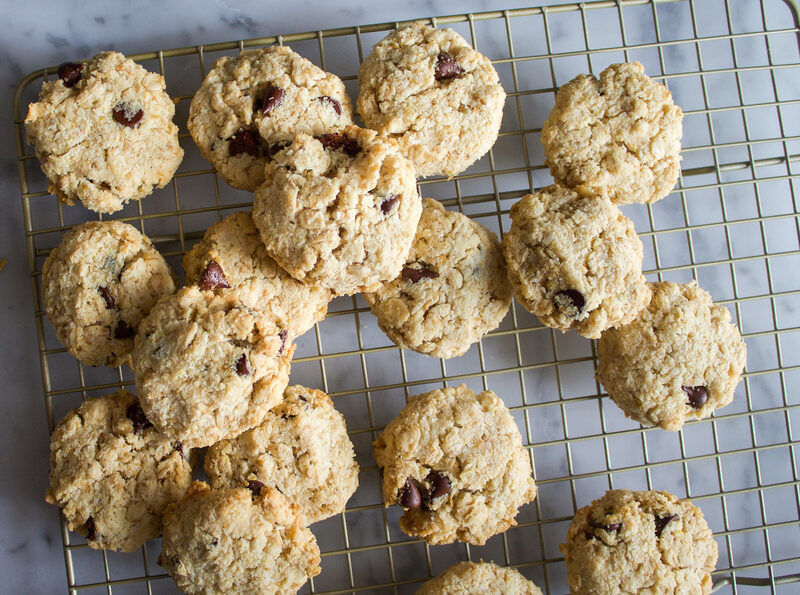 With only 8 ingredients and 1 bowl, there is no excuse not to make these! Packed with fiber and healthy fats these make for a healthy snack for the kids, or even a great energy boost post workout. Hope you love them. 1. Preheat oven to 350 F. Line a baking tray with parchment paper. 2. Mix coconut oil, maple syrup, vanilla and water. Add flaxseed and let sit for 1 minute. 3. Add almond flour, shredded coconut, oats, and salt. Mix well. Add chocolate chips and mix again. 4. Using a cookie scoop or tablespoon measure, distribute dough evenly on tray. Using your fingers, slightly flatten and shape each cookie. 5. Bake for 25-30 minutes or until golden. Remove from pan and allow to cool, then store in an airtight container. I like to keep mine in the refrigerator! Mine were extremely crumbly and didn’t form a dough at all. They were really hard to form into shape and just fell apart. Did you blend the oats before mixing them in? They still tasted good but the texture was a bit off. Sorry to hear that! I’m not sure what went wrong.Next time try adding a bit more coconut oil to make sure it forms a dough. I am so sorry to hear that. I do not blend the oats before. Not sure what happened. Next time I would try adding a bit more coconut oil. I had a tablespoon or two of leftover coconut milk that I put in these, and I didn’t have any almond flour so used regular, and these were great! So good with coffee. So glad it worked out with your substitutions! How many cookies does this recipe make. Clean Eating Goddess is all about catering to a range of dietary needs while remaining wholesome, easy and most of all, delicious! Want healthy recipes sent straight to your inbox?